Do you have the best designed new or renovated kitchen in Winnipeg? Enter the Ciao! 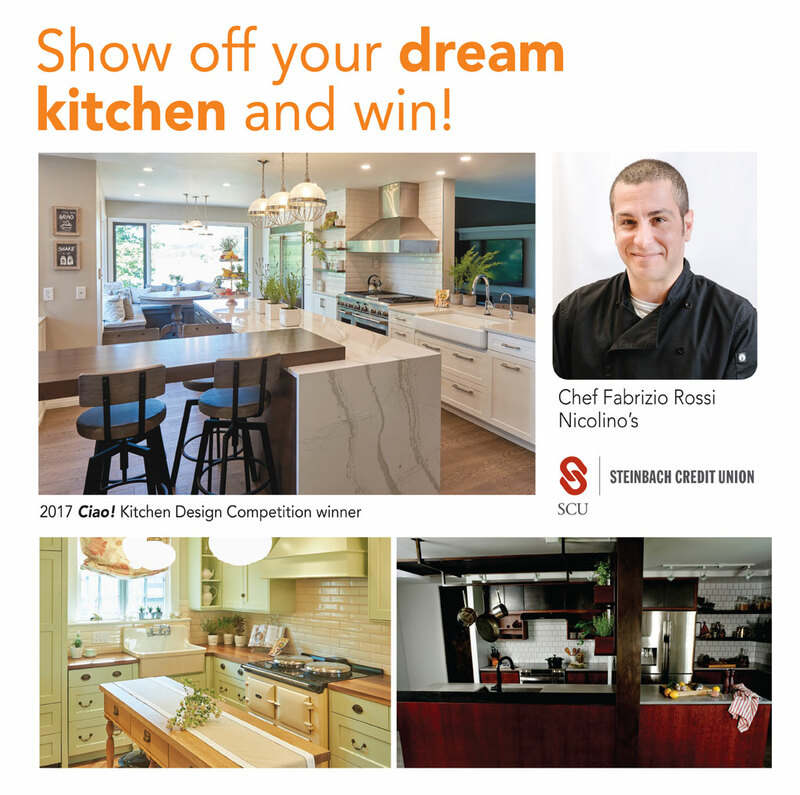 Kitchen Design Competition, presented by Steinbach Credit Union! A Grand Prize winner will be featured in Ciao! 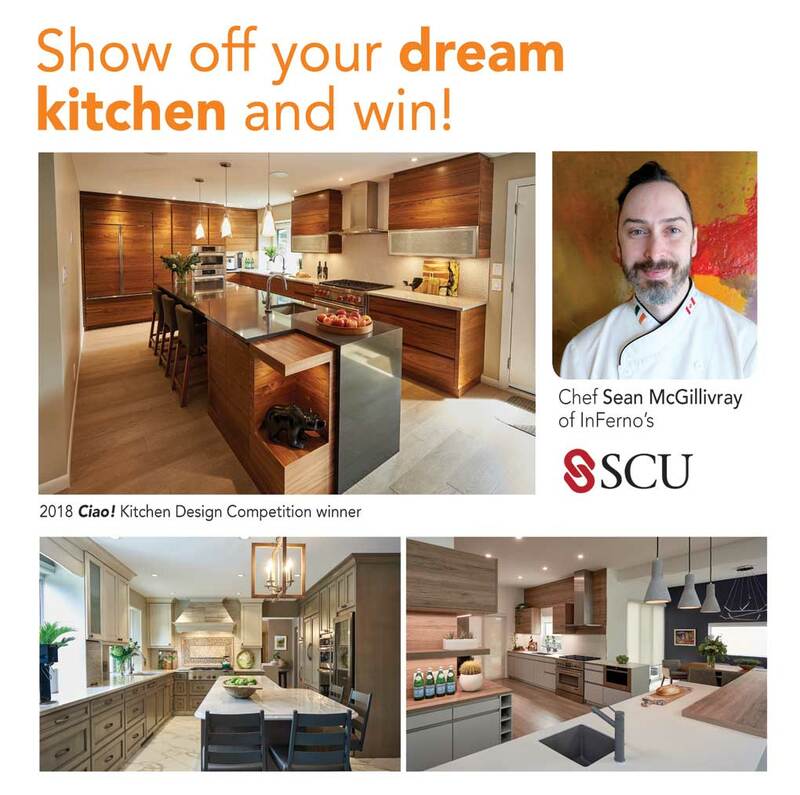 Magazine’s October Kitchen Design Issue, and receive a gourmet dinner for six prepared in your winning kitchen by Chef Sean McGillivray of InFerno’s! Three winners in total will be selected and featured in the Ciao! magazine. Note: Your kitchen must be constructed or renovated after January 1, 2018 to enter. Addresses of all entries, including winners, will be kept confidential. Only winners will be contacted. Winning kitchens featured in Ciao! will include information about products, suppliers, and installers used in the project, and samples (where applicable) will be required for photographs. Enter your kitchen to win! Don’t forget to submit your photos! Scroll down for more information. Tell us about your project! Include details like who designed your kitchen, what challenges were faced and how the final design addresses this challenges. Was there an inspiration or theme for the design and how did it influence the materials, colour and layout? What is your favourite aspect of the completed kitchen?